I've spent the whole day today researching Bret Easton Ellis for my dissertation on American Psycho. I've read about a dozen interviews today so I thought my title should pay homage to that: the last words of American Psycho- This is Not an Exit. This post has nothing to do with American Psycho, just FYI. It's been something I've wanted to write about for a while but I hadn't figured out how to say it yet. This is kinda thinking out loud. This morning I had a 9am class. I got up, dry shampoo-ed my hair and picked something to wear without much thought. I knew I'd be on campus all day and have no time to take pictures, and to be honest, my non-photo-day pictures are usually a bit boring (does this make me inauthentic as a blogger? Hmm). I grabbed a dress from my wardrobe, paired it with a jumper- which looked all wrong- and then just put on a cardigan and some coloured tights. It was about 10am in my break from class that I looked in the mirror and realised "this is such a last-year-me" outfit. I've talked before about my style evolution over the past few months, but it's always kind of felt like something a little intangible, something that I've found difficult to grapple with, in a sense that I've just found it very hard to define. I know my style is different, but I don't know how it is different. Today was the first time that I could really see how this outfit was much more last-year-me than it was current me. It's not that I don't like the outfit. It just seems to be an outfit that reflects much more of an earlier time in my life. And in a clearer and more constructed way, it involves my Modcloth dress which I very much associate with my year abroad- purely because I wore it on some pretty special occasions- my 21st Birthday and the trip I took with my now-ex boyfriend to Minneapolis, both of which were, and still are, memories I hold very dear. But I know it's more than that. I know this is the kind of outfit that I would now see as a bit boring, but I can't put my finger on why. As I've said before, my "day-off" outfits are often a little boring. And by boring, I simply mean that when I'm not photographing an outfit, I tend to stem my creativity a bit (I hate coming up with a great outfit that I don't have time to photograph and then having to wear it again on a day when I haev time- it feels like I've "wasted" an outfit). My non-blogging days usually involve outfits based on jeans, simple dresses and cardigans. In many ways, blogging has ruined me a little bit in the fact that I don't dress up everyday, but more on my blogging days. Maybe this is something I can reflect on another time-I digress. I think what I mean is, the outfits I wear on non-blogging days now are outfits I would probably have worn on my blog last year, but now wouldn't consider them interesting enough to post on. I like to feel like I have put together something creative when I blog and I don't feel like my day off outfits are creative. But perhaps it is because while these combinations felt creative once, as far as my style is now, I feel as though they've been done. Belting a buttoned cardigan over a dress felt revolutionary this time last year, but I've done it so much since that it just seems the norm. Maybe it's like now, wearing a long-sleeved shirt under a dress or a blouse with a collar under a jumper feels fun and fresh, but maybe soon that will feel old too? I guess I'm interesting in seeing how my style has changed, and whether that is a reflection of being hopelessly manipulated by magazines, or whether my style is simply maturing. It definitely feels more mature, but as I've said, I don't know how to express that. I feel I've moved away from floral dresses and knee socks (to an extent- I will not be swearing off floral dresses or knee socks!) and embraced tailored blazers instead of cardigans and button-ups with shorts instead of girly dresses. I wear jeans more now. I enjoy monochrome much more than I used to- in fact I have a new deep-seated love of neutrals. I feel in many ways my style has become more androgynous, but at the same time that doesn't feel like the right word. I feel last year I had a really clear idea about what my style was, and now I'm not sure. I don't have that set of adjectives any more, those defining pieces. My style is really in flux right now, but I'm really really okay with it. Not having these adjectives has really given me freedom to try what I want, whether it's "me" or not, because I don't know what "me" is. But despite that, I feel so myself in my style, whatever that is. I feel like September was a real turning point. From going over my Outfit Favourites from last year, this seems to be where everything changes. Maybe it was a new year at school- my final year too- or the movement into the fall season, but my style defintiely had a lightbulb moment here. I don't know what it is, but this outfit was a real game-changer for me-it was so unlike anything I'd worn before: sophisticated Zara trench (I never used to shop in Zara), old-faithful dress but with a beige jumper and such a neutral palette. Simularly, this one, which remains one of my all-time-favourite outfits. Such an unexpected pairing, but also so sophisticated and grown-up for me. I've tried to go through my blog and find outfits that I absolutely would not wear now, but there aren't many outfits that I absolutely hate, or even many that I wouldn't wear now, but they aren't really outfits that I would pick out so much these days. Maybe it's coming to the end of my university degree, but I think my wardrobe is getting much more work-appropriate and "business casual". I have been so, so into button-ups lately. They're just so classy and pretty. I think this is definitely where my style has gotten quite mature. 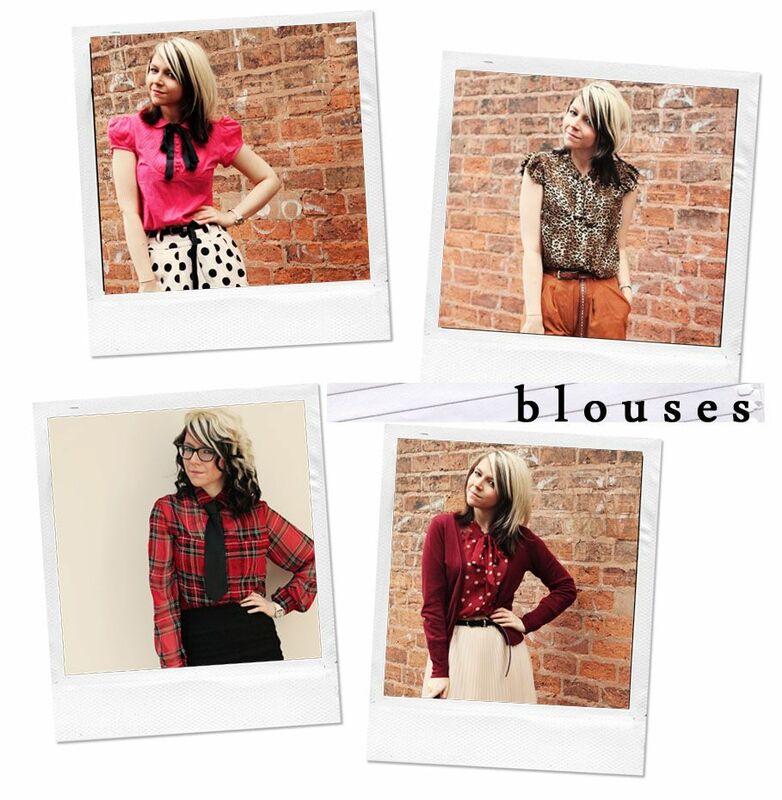 I think blouses can easily be made quite dressed-up for a work environment, and I love them layered under dresses. I have also been much more into separates lately- I'm much more likely to buy a pretty blouse now over a dress, and I tend to reach for a blouse and shorts as a go-to outfit. I have really expanded my blazer collection lately- mainly from Zara. I absolutely love them. They are an instant style updated for me, and a big change from my usual cardigans. I think this is one big change for me- from cardigans to blazers. 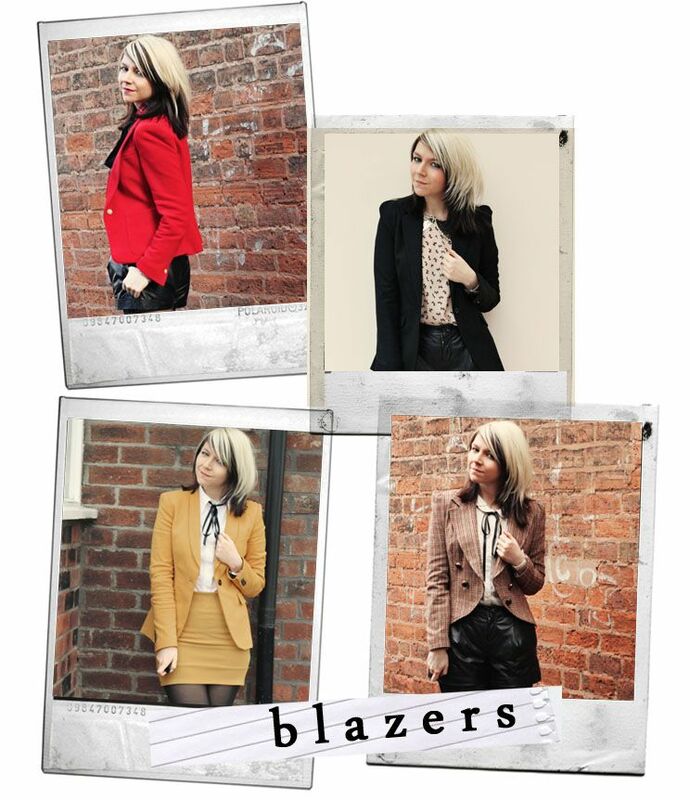 Blazers seem like a much more mature option, and Zara's blazers are such a lovely fit and work appropriate. I talked about this a few days ago here, but I have really gotten into wearing jeans and pants. I can't believe how many pairs I own now! While these examples are mainly quite casual, I really enjoy the challenge of making jeans look more dressed up. 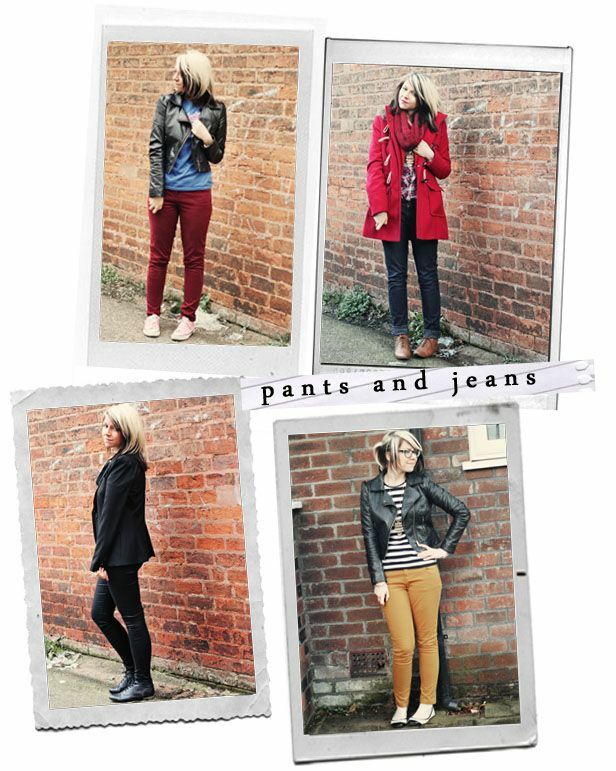 I will definitely be wearing more jeans on my blog! It's funny how many people have commented on the amount of red I wear, because until last year, I never touched red. I doubt many of you have been reading my blog long enough to remember my pink hair, but I had pink in my hair for 4 years until last Christmas! I used to avoid red because it clashed with my hair, but now with my hair being black and blonde, I find red goes really well with it. I find myself going for red so much now when I pick my clothes. It's really exciting to see how my style has evolved over the last few months! I can't wait to see what I'm wearing in another year's time! PS. I'm guest posting over at Kirstin's blog today about following your dreams! Check it out! Such a great post. I liked your highlight of the new types of clothes you've been gravitated to. I have a love for blazers too, but I can never give up my cardigans! I tend to wear both at the same time haha. We're quite similar in our love for the color red too. It's my go-to color. If my outfit looks boring I usually throw in a pop of red! It's just such a vibrant statement color. I just to say that I read American Psycho as a freshman in college and it was the most disturbing book I've ever read. But the course that accompanied the book was awesome (we also read Fight Club and A Clockwork Orange)! And despite the fact that it was disturbing, I do cite it as one of my favorite books. I loved the social commentary behind Pat Bateman. Oh, and I hated the movie, but that always happens when you read the book first, right? I did a small tiny undergrad philosophy thesis on Chuck Palahniuk's Invisible Monsters and I'd love to hear more about your dissertation if you get a chance. That course sounds like my absolute dream. Palahniuk is my favourite author. My dissertation is on women in American Psycho. I'm hoping to look at their portrayal the idea of the male gaze in the text, and I am also going to be examining how the film is different in many ways as it was directed by a woman. I've not watched the film in a really long time but now I've reread the book and I'm writing on it, I'm quite excited to watch it again. I have a love-hate relationship with American Psycho. I think it's a fantastic book but I skip all the gory bits! I wrote an essay on gender performance in Invisible Monsters last semester. IM is my favourite book! I definitely agree about the dressing differently on days when I don't take photos (most days, unfortunately for my general appearance). Sometimes I'll wear a nice outfit to see if it works and will then be worth photographing another day, but most often I'll wear a pair of jeans and a sweater, or a dress that I don't know how to remix very well paired with shoes that don't match. The biggest difference though, is that I don't bother doing my hair. I only do my hair for my blog as it's too much effort but seems to make a real difference in how people react to my blog. So silly. I have the exact same thing of feeling like I am 'wasting' an outfit when I dress up in an interesting way and don't take a photograph. 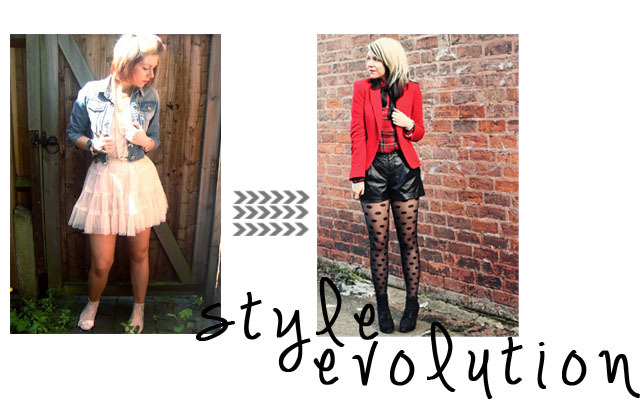 Blogging does give you a different attitude to getting dressed! I got into your blog in the last few months so I don't know what your style really used to be like, but I find it very inspiring. I always used to think that blazers were boring (probably because I had to wear one for school) but seeing all your bright colourful ones has made me really want to add an interesting one to my wardrobe. It sounds like you really have developed in your style-- and it's easy to tell from your pictures. I love the way you experiment :) I find it very inspiring. Yet I often try to copy you and it looks just plain silly. Never mind!